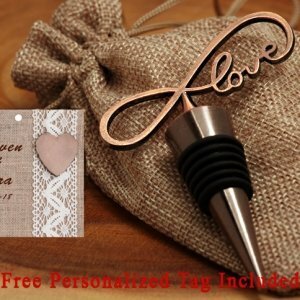 Our vintage Endless love copper bottle stopper favor symbolizes your infinite and eternal love for one another. 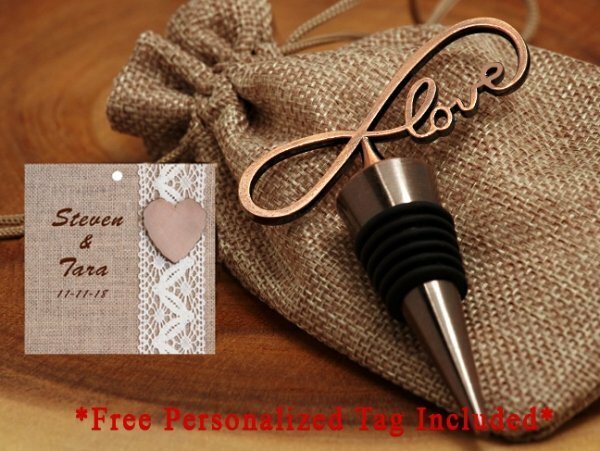 Each copper metal bottle stopper has infinite love symbol signifying your endless love, each topper is attached to a copper metal stopper base. 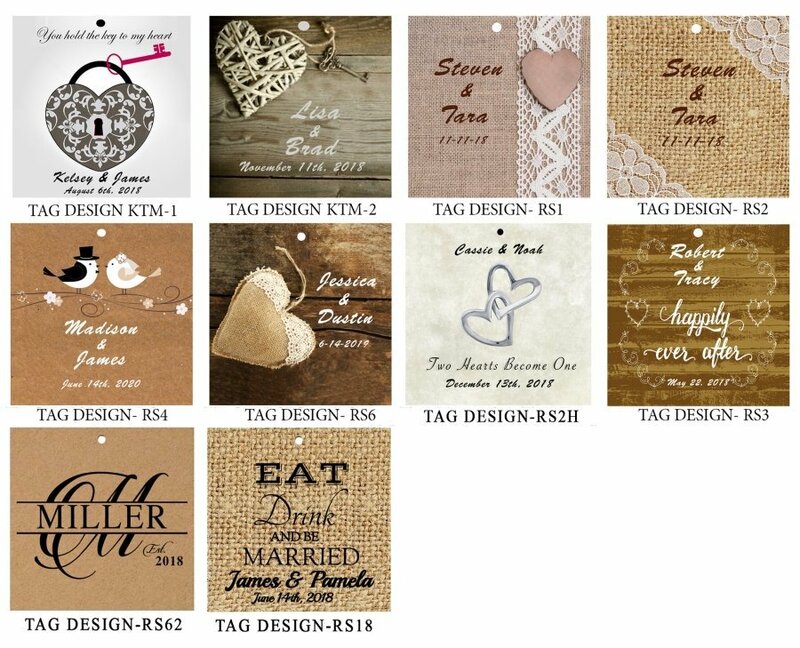 Your guests will be reminded of your special day every time they use this practical favor. Measures approximately 4." x 3.5"